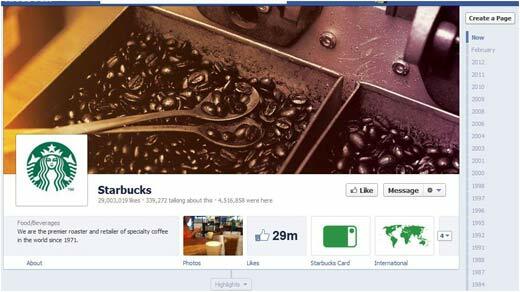 The Internet is buzzing with talk of the new Facebook Timeline format, which is already in previews and officially takes over on March 30, 2012. The jury is still out on whether or not the Timeline format will be good or bad for business in the long run and the debate will likely go on for some time. The new Timeline format does have its drawbacks, but it also opens up a lot of new possibilities and opportunities for Facebook business pages. The trick is going to be taking full advantage of this new and improved marketing tool. The loss of the welcome page is the biggest blow, as it was a great way to encourage page likes and direct visitor traffic. But even this setback doesn't have to be fatal. The new Timeline format offers plenty of other ways to engage new visitors and old friends. And by the way, the welcome page doesn't have to disappear altogether. It can be made available for viewing in the apps section, though, of course, it won't have the same effect since it will no longer be a 'fan gate'. Another downside of the new format is that the Timeline makes it really obvious, really quickly, if you aren't regularly updating your Facebook page. Anytime you stop updating your page, it shows up as a big whole in your timeline. Many businesses find it difficult to keep up with their social media sites now. The new Timeline format just adds to that pressure. But you know the point of having business pages on social media sites is to interact and engage with your clients. The 'new normal' for doing business in this century means making social media work for you, which includes making the time to keep your Facebook, Twitter and other social media sites current. In other words, the new Facebook Timeline format just forces businesses to do what they should have been doing all along. One of the nicest features of the new Timeline format is the huge cover photo, which presents an amazing opportunity to promote your business visually and make a great first impression on new visitors. This image will be the first thing anyone sees when they find your Facebook business page, so it has to be good! It should be a compelling image that represents your business and attracts attention for all the right reasons. It should also be branded to your logo, your business cards and your website so you can present a consistent image to your clients. There are rules about this cover photo. It can't contain any direct promotional language (Save 50%), calls to action (Click here to get ... ; Like this page ... ) or contact information for your business. However, it can be a collage of pictures and it can contain your business name or even a slogan. The cover photo must be at least 399 pixels wide. The maximum size allowed is 850 pixels wide x 315 pixels high. If it's smaller than that, the photo will be stretched to fill the allowed space, according to Facebook. 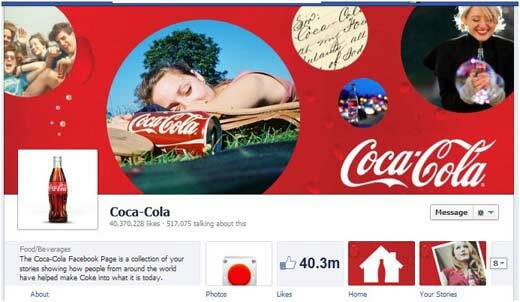 Coke and Starbucks are examples of excellent cover photos. The profile picture, tacked on to the bottom left corner of your cover photo, is the image that will appear in the newsfeed with your status updates and comments. It can be your logo, a business card, anything you want, really, and it can contain promotional language or contact info, but remember, it isn't very big so too much text will make it seem cluttered. Directly below your cover photo, on the left side, is the About section. This is where you will put your contact information, mission statement and some general information about your business history, products and services, promotions or whatever else you want your customers to know about your business. Some of the info will appear right on the page, the rest is hidden unless someone clicks for it. With the new format, photos and apps are front and centre, just to the right of the About section. Photos are a great way to engage people without saying a word. As before, your photos will be divided into albums and there is no limit to the number of albums or photos within each album. So maybe start with a portfolio album, featuring past project successes. Set up an album featuring your product line. How about an album of photos submitted by your customers, showing them using your products? And by the way, there are no rules against calls to action and promotional language in this section, so go ahead and post your ads, flyers and other promotional products here. The rest of your Facebook business page is devoted to the actual Timeline. Posts are arranged around a line down the middle that represents the timeline of your life - or the life of your business, to be more accurate. Posts are divided by years and months, even days and hours depending on how frequently things are posted to your wall. The Timeline also includes comments and photos that others post on your page, as well as a 'Likes' section that shows all the people who have liked your Facebook page. Again, this new format really forces you to keep your site updated to avoid those dreaded holes in your Timeline. Timeline posts can be highlighted, which means they will be enlarged to the width of the entire Timeline. 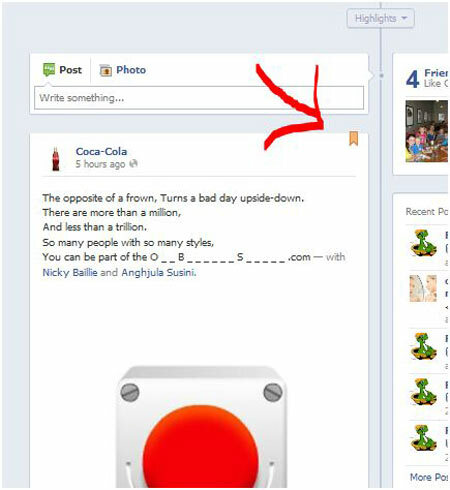 Hover your mouse over the right corner of the post box. Clicking the star will highlight the post. Clicking the pencil opens up several editing options. Click 'pin to top' to bookmark a post to the top of your Timeline for seven days. This is perfect for advertising sales or other business events. The pinned post is identified by the little gold bookmark in the top right corner. Notice there is also a 'change date' option that gives you the chance to fill in some of those holes in your Timeline by actually changing the date on a specific post. This is the 'back stage' portion of your page, visible only to administrators. This is where you manage your page, edit your settings, upload photos and apps, manage administrators and change the information that is visible to the public. A new feature of the Admin Panel is the 'build audience' tab. In a way, this is a substitute for your 'fan gate' welcome page. It basically allows you to increase the number of fans and direct traffic to your page by sending notifications to your existing friends and e-mail contacts. 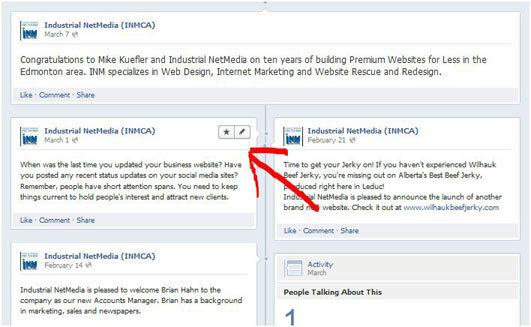 'Share this page' puts a general notice about your business on your news feed for all of your friends to see without contacting them personally, much like what happens when you post a regular status update. 'Create an ad' does exactly as it says, helps you build a pay per click ad with a link to your Facebook page. Pay per click ads are one of those great Internet tools that allow you to advertise your business while keeping complete control of your costs. As an added bonus, with pay per click you know exactly how many people are viewing your ads so it's easy to determine how effective they are. The Admin Panel is also where you will receive private messages and notifications. This is only a sampling of the many features and options available with the new Facebook Timeline page. As with most things, it has its good and bad points; some people are going to love it, others are going to hate it.